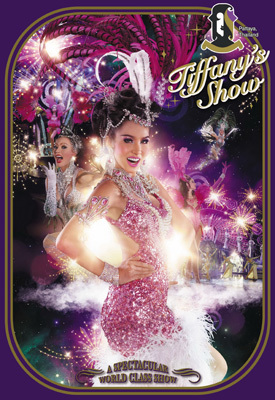 Tiffany cabaret show in Pattaya beach which is also an adult attraction of Pattaya, Thailand. Book Online! 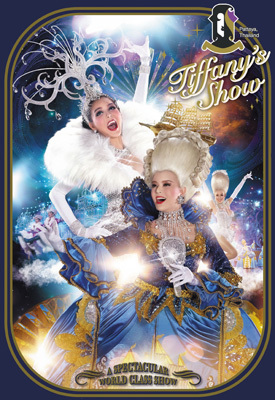 Tiffany's Show is nowadays considered as the biggest Transvestite Cabaret Show in South East Asia. With its 1,000 seats capacity and 3 shows daily Tiffany's Show have entertained hundred of thousands of national and international visitors. The Tiffany's Show started 28 years ago in a very small theatre with 3 performers only.The growing popularity of the performances as well as the booming tourism industry in Thailand gave a great opportunity for a rapid development of the company. The show is hosted everyday and timings are 7:00 pm, 8:30 pm, and 10:00 pm respectively with an additional show on holidays at 5:30 pm also. Mezzanine seats cost 700 Baht per person, the V.I.P. seats cost 900 Baht per person and the V.I.P. Gold seats cost 1,100 Baht per person. All types of seatings include one welcome drink too. Transfer (transportation) additional 100 Baht per person for round-trip (two ways).